What Are Traditional British Potted Shrimps? Potted shrimps are a traditional British food and loved here for centuries. Traditionally they are being made with the tiny brown shrimp found around Morecambe Bay, known as Morecambe Bay Shrimp in North West England, though any small shrimp can be used. The shrimp are first boiled, and traditionally this would be in sea water. The shrimps are then shelled and mixed in a spiced, - mace, or nutmeg, a pinch of pepper – maybe even a hint of cloves - clarified butter. The butter must be clarified as the clearing of it helps in the preservation of the shrimp underneath. How Are Potted Shrimp Served? The shrimp are traditionally served on slices of thin warm toast. Another great suggestion for serving, though not traditional, is to stir the shrimp and butter through freshly cooked pasta. How Are the Shrimp Potted and What Pots Are Used? Though traditionally the shrimp were preserved in China or earthenware pots, nowadays they are mainly found served in plastic tubs. 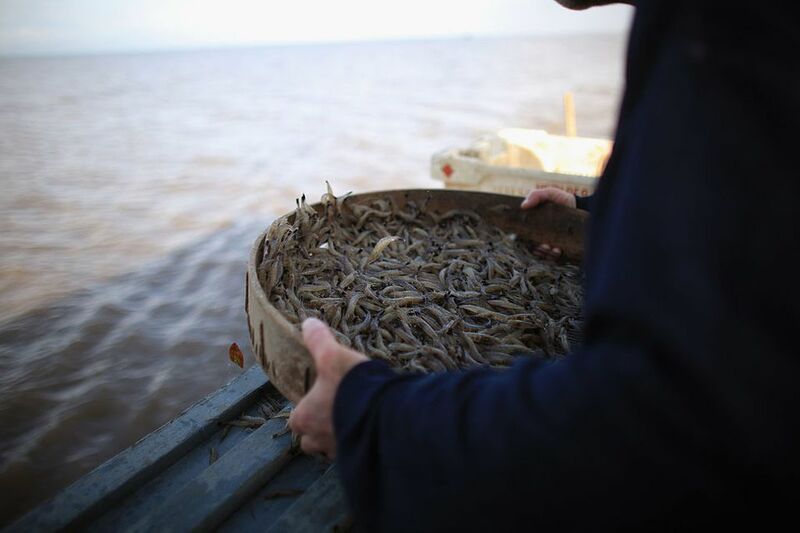 This method of preserving the shrimp is believed to date back to Tudor times and the industry as a whole expanded in the 19th century, when thanks to the development of the railway networks, demand for the shrimp grew. According to food historian Bee Wilson, potted food is a descendant of the pie in which the heavy, air-excluding crust ("medieval cling film" as she wonderfully dubs it) has been replaced by a more elegant spiced butter. Once upon a time, everything from the tongue (Elizabeth David's particular favorite) to cheese was preserved in this way, with Meg Dods, author of the 1826 Housewife's Manual, claiming that game "to be sent to distant places" would keep for a month if potted correctly. What Are Morecambe Bay Shrimps and Why Are They the Best for Potted Shrimp? There are now only three shrimp producers left on the bay, including Furness Fish and Game.